A child’s first caregivers are so important in the early childhood years. 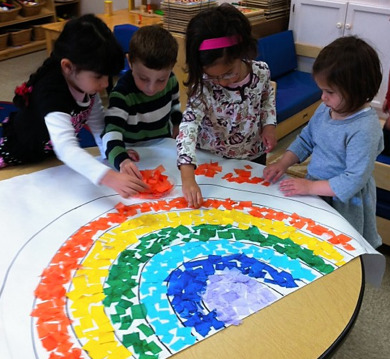 We admire the need for both nurturing and independence, quiet and active play, time alone and in group endeavors. We work with children’s natural curiosity and creativity by providing stimulating activities and a variety of materials that appeal to all of their senses. The curriculum fosters social, creative, physical, and cognitive skills, fulfilling the needs of the child to develop as a whole person. They learn through play and by exploring their environment at their own developmental pace.